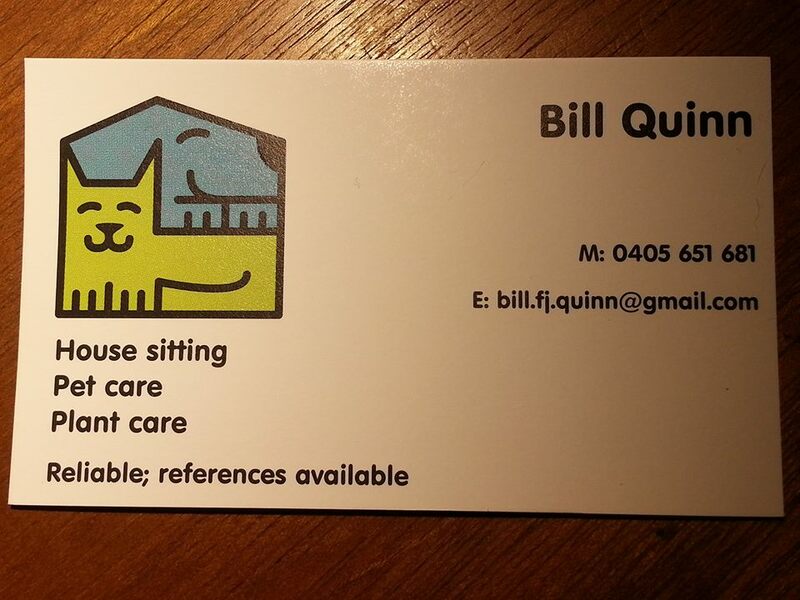 This sixteen-day housesit at the end of January was a pleasant surprise as it came as a cold call (or email) from someone who’d stumbled across my Bill The Housesitter Facebook page. I’ve had enquiries via the Facebook page before, but this was the first (maybe second) where I’ve been able to accommodate the request (no pun intended). Kenmore, like many Brisbane suburbs, has a fairly out-of-town feel to it while being surprisingly close-in. Just jump on Moggil Road and in two shakes of a lamb’s tail you’re in Toowong. It’s even quicker if you choose not to be mucking around with lambs while you’re driving. The house itself is an older style house and the designers/builders didn’t really have a good grasp of the mechanics of insulation, but a couple of fans set that to rights, even during the hottest and driest of days. After our first couple of walks, I realised that the dogs had very different exercise requirements and capabilities. A 4km walk around the hills was more than the old girl was up to, and a shorter walk around the crick just wasn’t enough to sate the young boy. So after a couple of days, I mapped out a 4km walk that I took the spritely young Cavalier on, and the traditional creek walk was more than enough for the grand dame. A couple of days after that and the young, bouncy, sniffy one and I made it a twice daily hike, and he and I both shed some kilograms during my stay! It was good to have use of the owners’ car, initially to run up to the shops, though once I got the walking bug, I left it out the front and got in some extra kms on foot on a regular basis. I also got out to my irregular trivia haunt twice where we got a first and a second on respective Tuesdays.